A picture from a WalkIslay Islay walking week a few years ago. 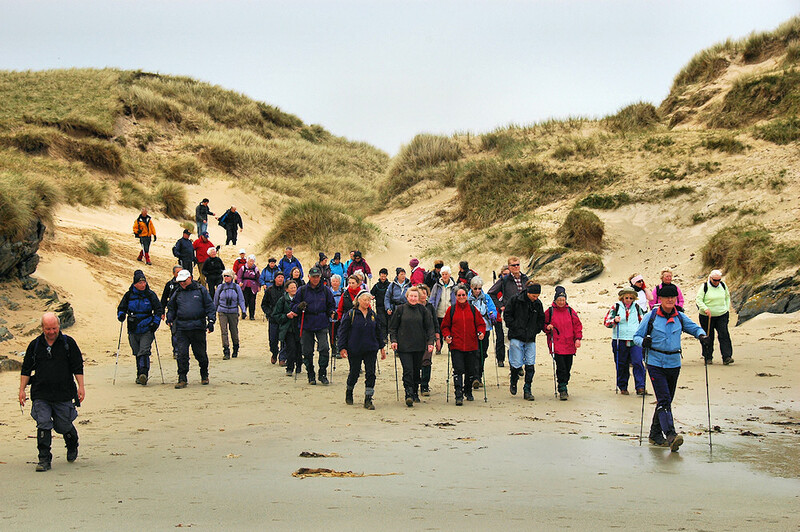 Here the walkers arrive at Ardnave Point, walking on to the beach through the dunes. Quite a few regulars can be spotted in the picture. This entry was posted in Beaches, Cloudy Weather, Landscape, Repost and tagged Ardnave, Islay by Armin Grewe. Bookmark the permalink.